RRSPORT.CO.UK • View topic - Change the head until and keep original Sat Nav. Home > In Car Electronics > Change the head until and keep original Sat Nav. Change the head until and keep original Sat Nav. Hi guys. I’m new to the forum and just purchased a RRS 2006 2.7TD HSE with a Harman Kardon sound system. 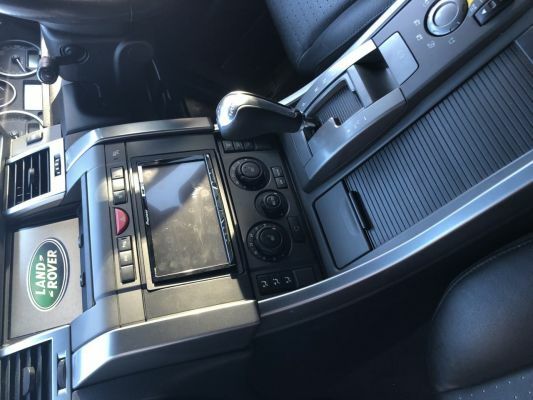 I want to swap out the head unit but would like to keep the original Sat Nav. Can this be done at all, if so how? And what do I need? Also would I lose the amp? As RobP says, check out InCar Tec site sponsor and even give them a call for some free, friendly advice. I bought my kit from them and they were really helpful from start to finish and everything worked first time. In answer to your questions, yes you can keep original sat nav screen (involves stripping down your old head unit but instructions are supplied by InCar Tec). You will also need a new amp (I fitted mine under the rear drivers side seat). Thanks guys. Was hoping I didn’t need to strip the existing head and install a new amp. Wishful thinking. Will have a look and post my results at a later date. I've just replaced my head unit with the kit from incartec, you don't need to buy a new amplifier. If you have the Logic 7 system you will lose the rear subwoofer and centre speaker in the dash, but if you buy an amp you can retain the rear sub, however with the supplied leads all other speakers will work as normal. Stripping the existing head unit is pretty easy, all you need is a Philips screwdriver, some pliers and 10 minutes. One thing that incartec don't advertise and most people seem to fail to tell you, is that the facia is black and has a 5mm gap at the bottom. My trim is a silvery grey colour so the facia doesn't match.. unfortunately there's no way round this as all retailers are selling the same model. The gap isn't visible unless you're looking for it, but personally I think the craftsman ship on the facia is appalling. The leads themselves are really well made and high quality. Oh and it's worth buying a new DAB aerial from them, I stripped my existing aerial and (after stripping it) put the new sharkfin inside the existing housing so it all looks factory. 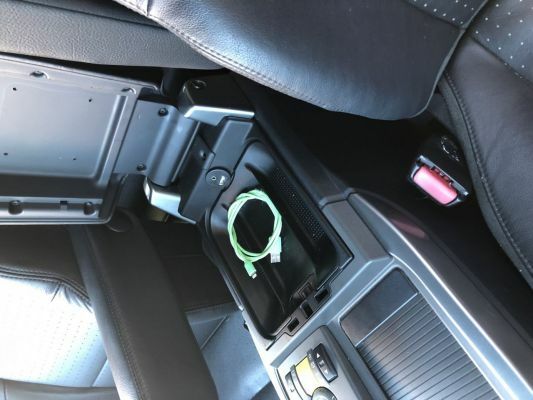 I found the best way to route the new DAB aerial was above the passenger side curtain airbag, down the passenger 'A' pillar, it can then be fed down the side of the dash and appears in the fuse box area, from there you can route it up to the head unit fairly easily without having to strip half of the dash. As a final note, I used a USB dash mount (https://tinyurl.com/y9md7hn8) to extend the rear USB port (I used a Pioneer head unit) and put it in the cooler box next to the hinge. I'll upload some pics if anyone is interested. Thanks for the advice. Some pics would be ace. Gonna try tackle it next week. I also used Incartec, but only for the cables as I didn't need the fascia. I ordered a fascia from a Alibaba that retains the OEM style at the bottom so it looks stock. However, the colour still didn't match to the OEM finish. However, as mine was finished in piano black this didn't matter. Also, as mentioned above, with the correct kit from Incartec you can both retain the OEM SatNav, utilise the SWC and use the output from your new head unit (4x50W) to power all but the front centre and rearr subwoofers. Add a small amp for the subs and this will work. I didn't as I felt the bass was enough from the stereo. Most importantly decide what you want and plan. Standard double DIN units do leave a lot of space around the frame, which I didn't like. Hence I went for a custom build using an android head unit. Obviously, there's less risk in buying a reputable brand head unit, rather than a "Made in China" Android unit as I did. Hope that gives you some pointers. LR Defender 300Tdi - affectionately know as "The Black Beast"
I purchased a USB Lightning cable for my iPhone, which runs from the back of the HU, out through the gap underneath (on the right). I then have my iPhone in a cradle but when I don't need the cable, then I can push it back out of sight. So a bit of an upside for me as I hate seeing cables lying around. I agree the fit of the fascia is poor. I had to file off a couple of nubbins to get it to fit properly in the space but overall a good bit of kit.